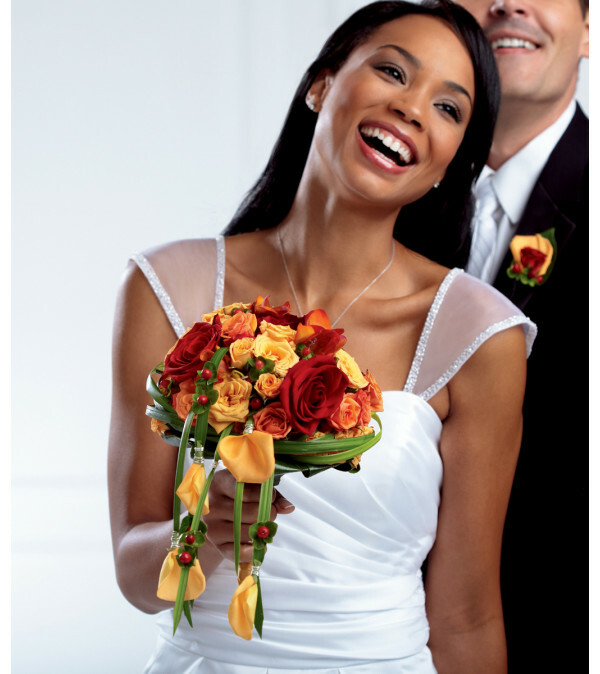 The FTD® Breathless™ Bouquet is a radiant display of love's first light. Red roses are bright and beautiful set amongst yellow and orange spray roses, orange freesia, red hypericum berries and lush greens. 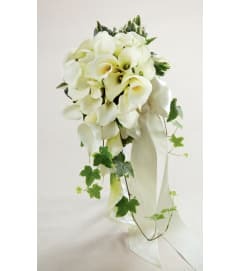 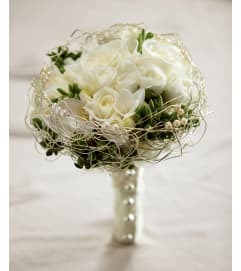 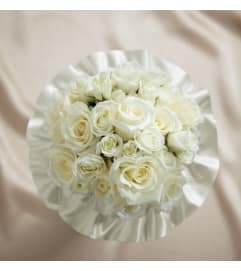 Set in an ivory satin bouquet collar, this bouquet bursts with a sunlit charm to bless your wedding day.